A surprisingly capable off-road SUV disguised as a luxury suburban people hauler. I've always been a big fan of motor vehicles that confound expectation. When I was first learning to drive, I was impressed by the early small Japanese trucks that could work as hard as the much bigger American versions for a lot less money. More recently, I was surprised that the revised Fiat 500 actually feels like a tiny Italian car, and the Abarth version is great fun to drive. And the current version of the Chevy Corvette genuinely challenges much more expensive imported exotics, and beats most of them in day-to-day livability. 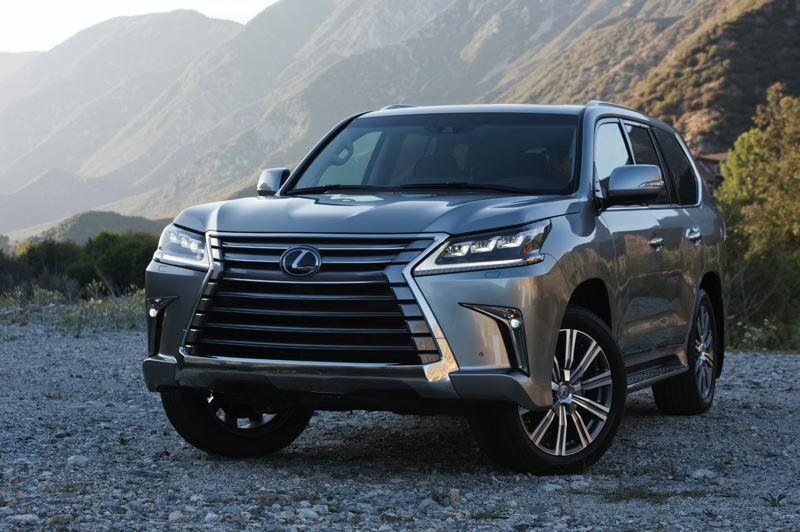 But I have to say the Lexus LX 750 caught me by surprise when I first had a chance to test it at Mudfest, the annual comparision of outdoor activity vehicles organized by the Northwest Automotive Press Association. At first glance, the largest and most expensive model from Toyota's luxury division seemed too soft to handle even the easy off-road course. The suspension felt tuned for smooth roads and the leather interior appeared too plush for muddy clothes. As I headed for the first trail, I worried about bottoming out or getting stuck. But was I ever wrong. What I didn't know — and what the factory representative representative explained to me — is that the LX series has always been based on Toyota's Land Cruisers, one of the toughest, most capable SUVs ever devised. The current version comes with just about all the Cruiser's most advanced off-road technologies. The body can be raised, the center differential can be locked, and a knob on the center console can be set for it to crawl up or down steep inclines. With the encouragement of the my co-pilot, I took the QX 750 over the hardest of the two off-road courses, and then over what I thought was a cliff without any problems at all. Unless you know this, you'd never guess it just looking at the 2018 LX 750. 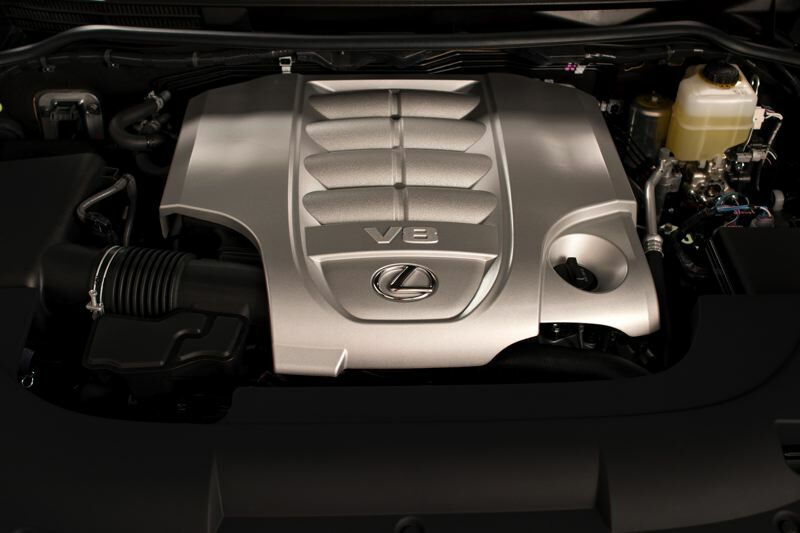 It's big and boxy, with the kind of huge spindle grill that are trademarks on all Lexus vehicles thse days. But look a little closer and you'll realize there's no low air dam. The bottom of the grill angles up, which allows it to climb steep hills without scraping the front end. For such a fancy rig, the 2018 Lexus LX 750 can also tow up to 7,000 pounds, thanks to the power of its impressive 5.7-liter V8, the same engine that comes standard in the Land Cruiser. Of course that means the mileage is terrible, but no one shopping for a fullsize luxury SUV is seriously worried about the price of gas. The contridictions continue inside. 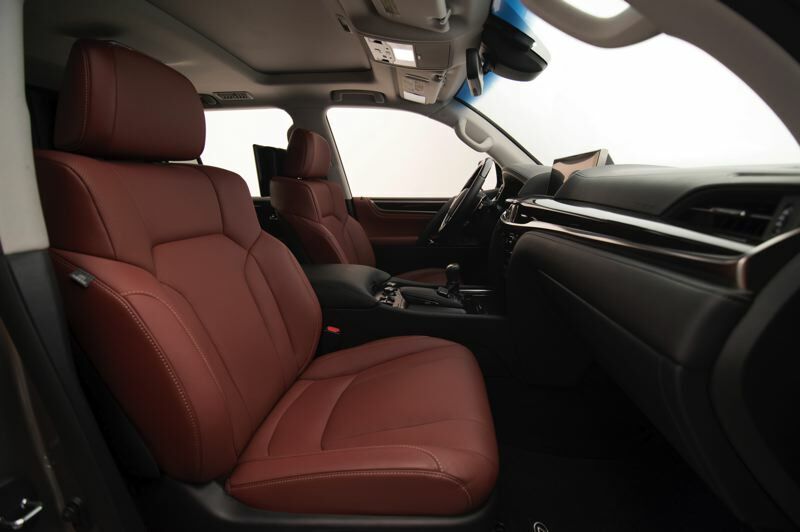 The seat are as comfortable as any luxury SUV, and the range of high tech features is dazzling. The wood trim increases the premium feel. 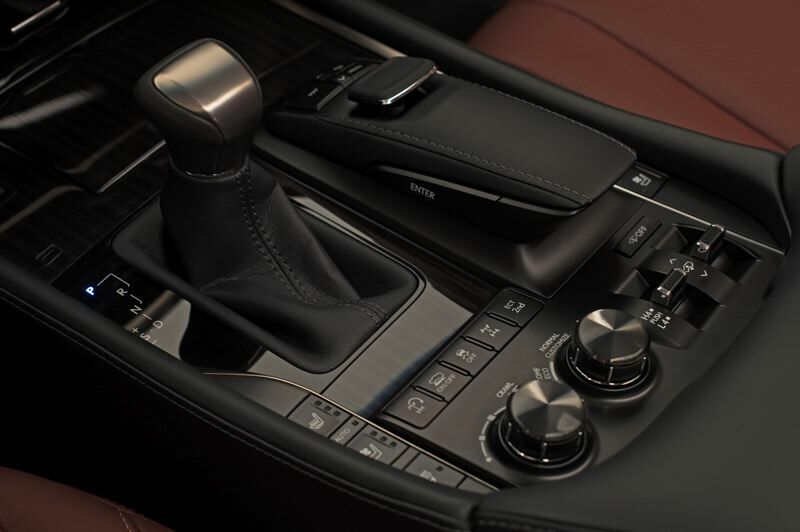 But the huge infotainment screen sits about an old fashioned analog clock, a distinctive Lexus touch. 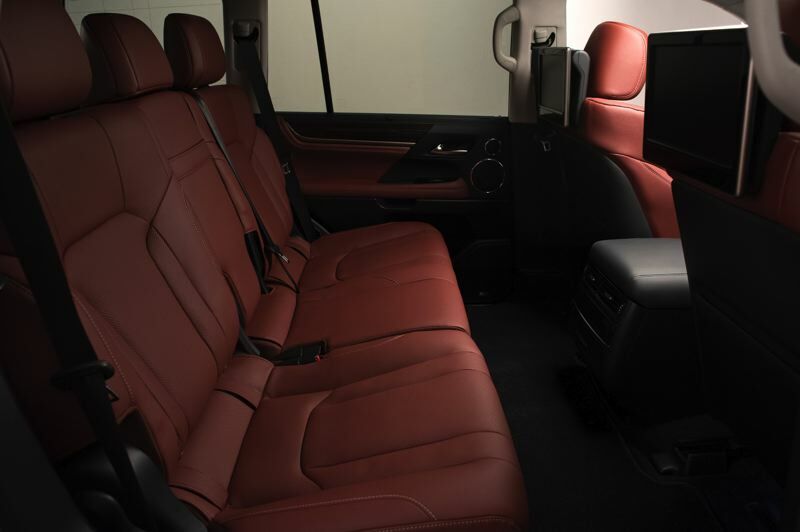 There's plenty of room in the room seats, which also feature their own luxury appointments, including a very efficient climate control system. Passengers there should feel like pampered guests. Not so for those in the third row, however, which is relatively small and hard to reach for a fullsize SUV. Our test version was the two-row model, however, which boasts more cargo space than is available with it folded down. Although it was redesigned in 2016, the current version of the Lexus 750 is one of the older fullsize SUVs on the market today. But it is one of the most off-road capable, even though it doesn't look like that, which gives it a certain stealth cache among those in the know.